Discussion in 'Future Vehicles' started by Justified, Dec 16, 2015. First post at TMC, though I am a regular lurker here and a member on the Tesla forums and also a Tesla investor. Excited about ordering my first Tesla next spring! 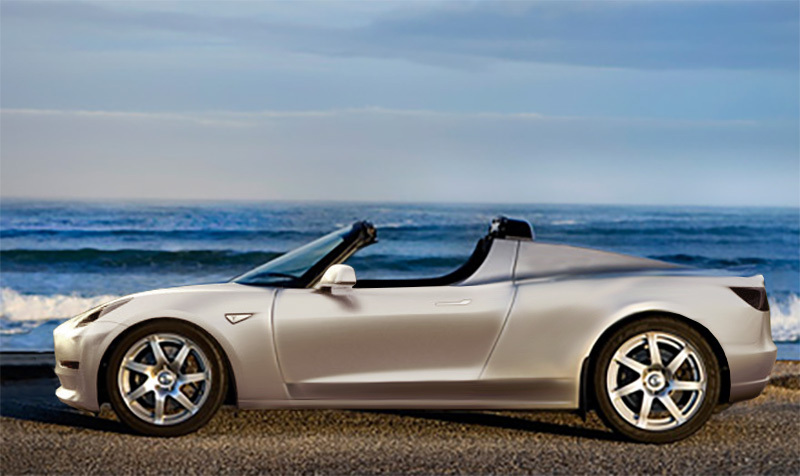 I was wondering if any of the Photoshop masters would put the new style Model X nose cone on this roadster concept. I think with the new nose cone this Next Gen Roadster design would be extremely slick. Anyone interested? I tried... and hilariously failed. Managing a network is my skill, not Photoshop lol. I like it with that grill. Looks very Aston Martin isk. No grill and make the nose as low and sharp as possible. Haha nice JRP3. That's pretty much what my first try looked like! I gave it another go and came up with this, stole the model X headlights as well. I think it looks cool with them too. Woof I hate that Model X nose soooo muuuch. I think it'd look incredible! I think it looks better with the grill. I wonder what a new roadster would wiegh in at. To me, that is quite unattractive. Looks squashed along the long axis. Not graceful. Photoshoppers work on this one???? 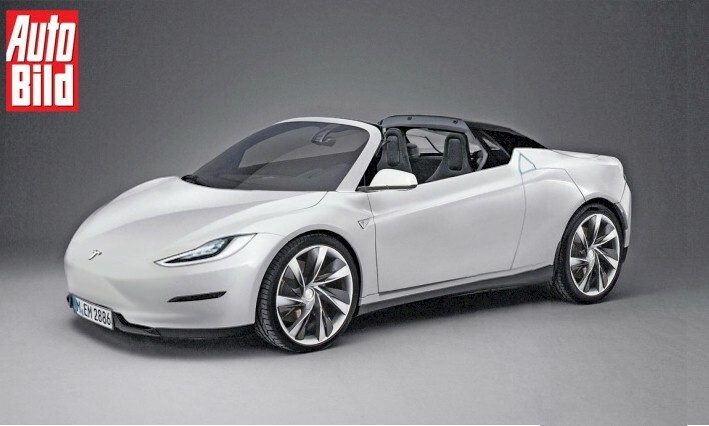 What does everyone think the layout of the next roadster will be? Im hoping quad motors and a 2 speed transmission like the rimac(we need good acceleration past 90-100 in a 2 seat tesla halo car) but that's just me. 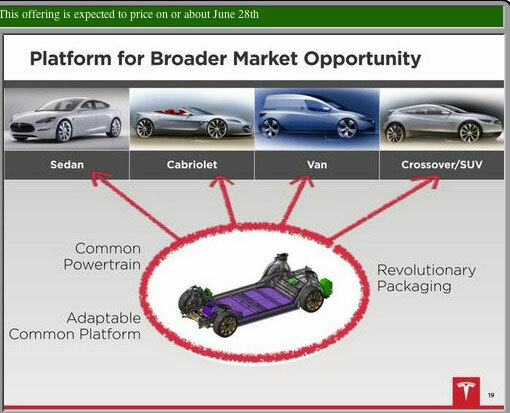 Tesla put out this image years ago when explaining the versatile platform for the then-upcoming Model S. The cabrio looks pretty mean. Interesting, I was going to correct you that Rimac used single speed gear reductions but just checked and see they now offer a two speed option. Yes, I'd buy that. Love the look of the "Batman Scoops" on the back, though I guess those preclude a retractable hardtop, which I would really love. Always trade offs. When developing the original roadster, Tesla was initially going to release it with a two speed transmission, but it kept failing. They ultimately decided to make things simple and go 1 speed. I think it was a wise choice. It seemed to be the only choice at the time, but it does limit top speed. If Rimac came up with a 2 speed that can handle the torque that's even better. Of course when you're charging almost $1million for a car you can engineer things to a different level.